Product dimensions:14.69 i. deep, 31.98 in. tall, 25.57 in. wide. 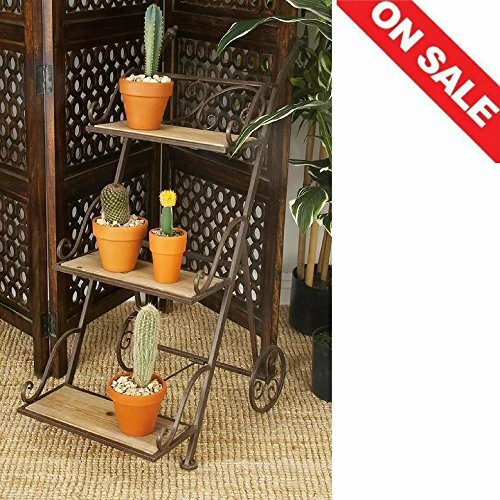 Tiered Plant Stand is a Beautiful Vintage Classic Decorated Pot Rack for your Garden or your indoor Plants,Bringing the Best out of Style and Practicality.